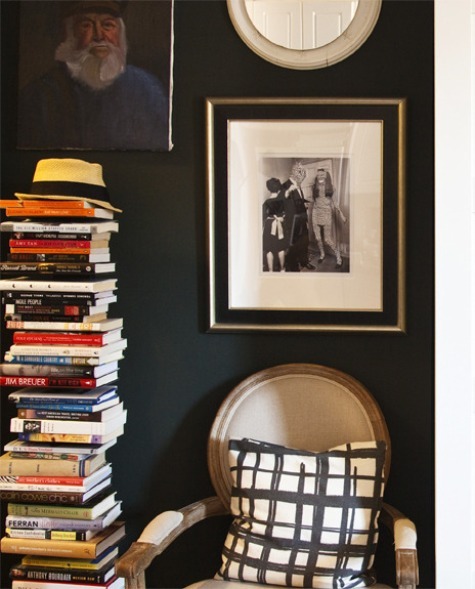 Last week Lonny's blog featured Ellie Somerville's new studio apartment. 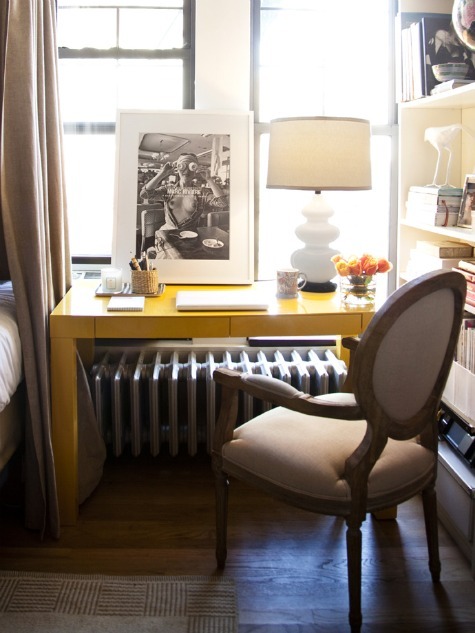 If you thought her first big city apartment was fabulous you'll love her new (and smaller) space. It is GORGEOUS! 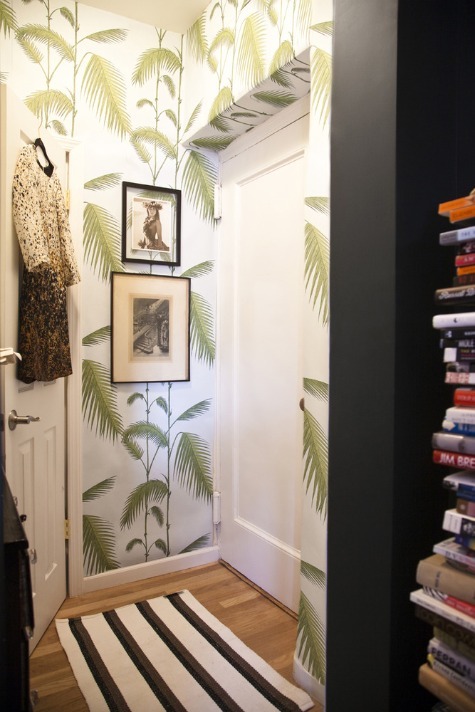 I love that she's boldly used a dark, saturated green for the primary living space accented by the graphic Cole & Son's wallpaper in the entryway. 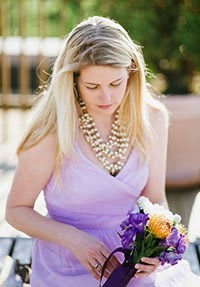 Check out more images plus her style guide here.